Over the past fifteen years, the music produced by Dominick Fernow has rapidly become the standard bearer for a newer generation of noise music. The music he produces under the moniker of Prurient has become the measuring stick by which all other noise music is judged, not just in the American scene, but worldwide. And throughout the years, Fernow has set the bar incredibly high, but perhaps never higher than with his new release, Frozen Niagara Falls. 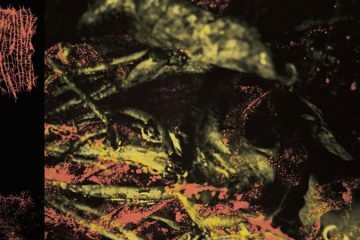 Over the course of establishing this dominance over the noise genre, Fernow has consistently kept his style fluid and evolving. Every Prurient release is quite obviously Prurient, but brings something slightly different to the table. The album ‘Frozen Niagara Falls’ is the culmination of that diversity. This massive beast of an album spans two CDs and almost ninety minutes, hitting almost as many genres over the course of that journey. Fans of Prurient’s back catalog will instantly be able to pick up on the subtle influences picked from years of masterful releases. The album is pure harsh noise violence one moment, and then floating, ethereal synth the next, with touches of industrial machinery, melancholy piano strains, hoarse, pained black metal screams, distorted samples and chants, and warm acoustic guitar licks rounding out the cacophony. The inclusion of so many elements might be a challenge to a lesser musician, but Prurient unsurprisingly manage to blend all of these sounds together to make a terrifying and beautiful composition that is nothing less than a clinic in modern noise. Despite revisiting so many elements from his past, at no point does Frozen Niagara Falls feel like it is repeating itself. Fernow is a master of simultaneously capturing a feeling of nostalgia that makes you want to re-listen to his entire back catalog, and a feeling of dangerous newness. He continues to consistently redefine the genre of music that he helped to reshape nearly twenty years ago, staying relevant and breathing new life into the horrid, hulking beast that is noise music, where so many of his contemporaries have faltered and stagnated. 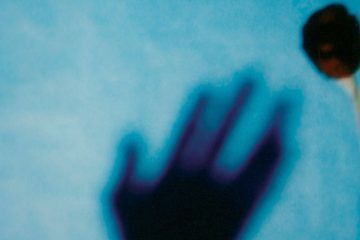 Despite being such a seemingly cold and mechanical genre at times, one of the things that noise music does best – and one of the things that originally drew me to the art form – is it’s uncanny ability to force you to feel things. It creates and sustains a mood through sound, shaping and controlling it as it goes. 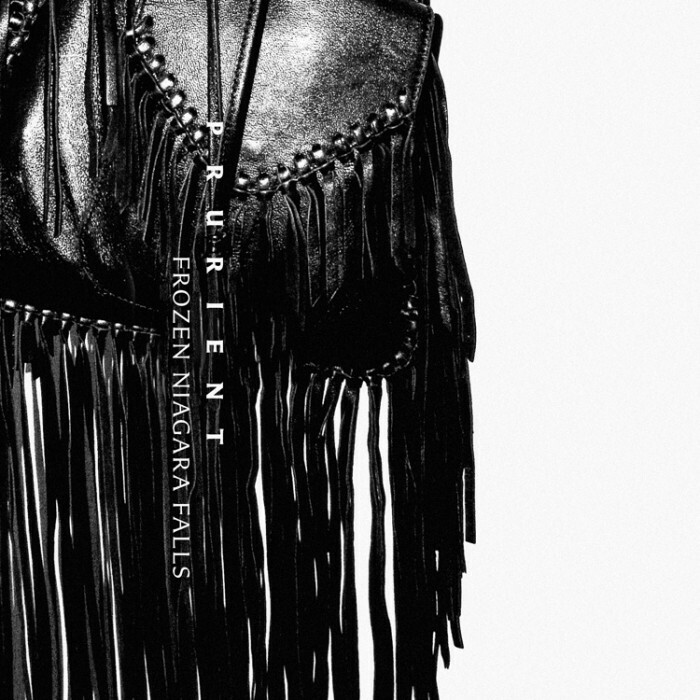 Prurient’s Frozen Niagara Falls is a wonderful example of this quality. From start to finish, the range of emotions one feels by immersing themselves in this dense and diverse album is unfathomable. Fernow deftly crafts his story without you needing to read or even be able to understand the words, you just feel it and know. The beauty, pain, horror, loss, and resignation of Frozen Niagara Falls is a journey that may feel comfortably familiar at first, but it is certainly one you have never taken before. As bold of a claim as it may be to make, I truly believe that this full length release is probably the best release of Fernow’s career, at the very least his career as Prurient. While that is quite a statement to make given the quality of all of his releases in the past, Frozen Niagara Falls simply showcases everything that makes Prurient the master of the genre and simultaneously showcases everything that I personally love about the genre. Take a journey down the frozen Niagara Falls. Prurient’s ‘Frozen Niagara Falls’ is out now and available through Profound Lore Records. CVLT Nation Video Premiere: SHADOW AGE "Silaluk"
A music fan of all genres and in all forms (generally the darker and more disturbing the better), Kira is an eclectic musician as well. A blogger, singer/songwriter, and multi-instrumentalist, she has long plundered the darkest depths for the oddest, most disturbing music possible.